How to arrange a plastic surgery /cosmetic surgery abroad ? Fill out and submit our Inquiry Form if you need further information. Complete and submit the Medical Questionnaire and upload pictures of the relevant body part. Receive evaluation from your surgeon, submit theBooking Form to confirm your surgery. Complete the Contact Form in case you require further information about a plastic surgery procedure/s or your planned trip to Budapest. In case you would like to proceed immediately without any inquiry, complete the Medical Questionnaire and send it back to us with your digital photographs of the procedural areas. Guideline for taking photo click here. You can complete the Contact Form and Medical Questionnaire online. When planning the cosmetic/plastic surgery, you will be interviewed to take your detailed medical history. Plastic surgery procedures will be decided with extreme prudence and care in order to detect and avoid those requiring heavy post operative follow up. Your medical questionnaire and photographs will be forwarded to the surgeon -Dr Rodrigo - in Budapest so that he can review your details and offer any explanations where necessary. Once the plastic/cosmetic surgery is determined and appropriate course of action set, we will let you know about the duration of your stay in Budapest and provide you with a final quote. We will send you a quote based on the information provided. The quote might not be exactly the same price as the one in the price guide as every individual is different regarding the exact treatment to get the desired result. Once you have decided which cosmetic/plastic procedure you would like to have you let us know when you would like us to make arrangements with the clinic on your behalf. Book your flight and accommodation, fill in our booking form to confirm your surgery as well. In the case of major surgery (e.g. full facelift), approx. two weeks before your surgery get your medical tests done. During the meeting of Dr Rodrigo you will have the opportunity to discuss your chosen procedure. 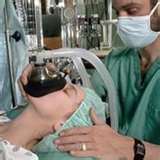 There is no standard operation which applies to each patient. Your plastic surgery will be designed during this consultation specifically for you and all of the details regarding the procedure will be explained by Dr Rodrigo. The very same day or the next day is your surgery/treatment will be held. You will be required to stay in our Clinic 1-2 nights (depending on your procedure). The minimum stay in Budapest after general procedures usually 2-5 nights. 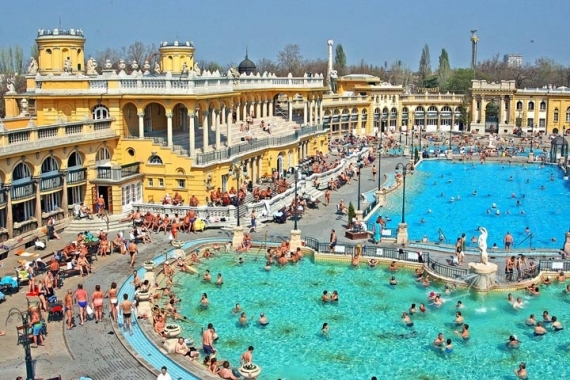 In case you wish to stay only for the minimum time in Budapest you must arrange supervision and aftercare back home. After convalescence in the clinic, you will return to your accommodation. During the next few days, you will be required to return clinic for mandatory check-ups with your surgeon - Dr Rodrigo - with the help of your assistant. Payment should be made after the consultation with the surgeon - Dr Rodrigo - prior to the admission to hospital for surgery.Cash payment in Euro/Sterling. Always remember it is your right to change your mind about your plastic surgery at any time and we will fully understand. There is no obligation to go ahead with plastic surgery unless you are happy to do so. In the Clinic you will be asked to review and sign a Consent Form that precisely describes your required operation. The consent form is a legal document and your authorization allows the surgeon to perform the surgery. Do not go ahead with a procedure if you’re not fully comfortable or happy with what’s happening, or with the surgeon who is going to do the procedure. Remember that you are entitled to change your mind at any time, even five minutes before the operation. Complete recovery depends on several factors, including the type of surgery, treated area and the patient themselves. As we mentioned above convalescence may take place first within our clinic under complete professional care, then after in a hotel or accommodation of your choice. We will be in permanent contact with you for immediate assistance if needed. An orderly post operative check-up will be performed on the eve of your departure. Your surgeon - Dr Rodrigo will inform you on the necessary after care or precautions during the trip back home. Do you feel entirely informed about the possible risks and complications about chosen procedure? Do you want a cosmetic procedure to please yourself or rather someone else? Do you have enough time in your schedule for recuperation? Can you afford the cost of cosmetic or plastic surgery? A "Total lift" including eyelids correction will involve 15 days immediate post-surgery recovery and another 15 days to be back to normal. To help you feel as comfortable as possible, Meditourist offers, personalized assistance to all its international patients. We would like your stay in Budapest to be as pleasant as possible. It will be my pleasure to answer any questions you may have relating to Dr. Rodrigo, the practice or your chosen procedure. Please feel free to contact me if you need any help within my area of expertise.